Preparation. I’d spent a month climbing the Surrey hills and the Chilterns and er, Epping. Legs ready, all that was left to do was watch the virtual skies for many a day in advance. A pointless activity given the forecast changed by the hour. From light rain to heavy rain and back again. For this is Scotland. Light rain is a blessing. Wet you will get. Weather warnings were issued the day before my tour. Wind. Lots of it. Gusts. Beware of fallen trees and crying cyclists. I reviewed my route again. Lots of climbing. Five days, 364 miles and over 7,000 metres (23,510 feet) of climbing. Inverness, a circumnavigation of the Isle of Skye before heading up the beast that is Bealach na Bà, the greatest ascent of any road climb in the UK. At 626 metres, Bealach’s gradient touches 20 percent in places along the 5.7 mile climb. Quite the challenge with a pannier and a 53*39 lowest gearing. Would I make it? The first two days would be into a headwind. And wet. I had joked with others how this trip would either be amazing or horrific depending on the will of the weather gods. At times I would be truly isolated, miles from anywhere, from anyone. There’s that feeling again. Pitter patter. The short ride to the train station to catch my overnight sleeper train was too eventful for my liking. My bike was creaking, the noise that had appeared the week before but then disappeared was back and worse than ever. The crank? Bottom bracket? The noise got worse the harder I pedalled. Would the bike make it, I wondered, visions of my crank snapping off in the middle of nowhere. There’s that noise once again. Pitter patter. Clunck click. Clunck click. Skirting the frost covered Cairngorms, I awoke after a broken night’s sleep. The Scottish scenery from the train delivered as advertised. Babbling brooks. A herd of wild stags romping through moorland. Munro after Munro the backdrop. Beautiful (although the views on the return are even better!). Stepping off the train to collect my well stored bike I was greeted with an icy blast. Brrr. Had I brought enough clothes? Breakfast done, I set off, my stomach heavy with porridge and a sausage sandwich. The added weight welcome given the wind did its best to steal my wheel as I crossed the Kessock Bridge out of Inverness. Very scary. High winds proclaimed the huge electronic sign to drivers ensconced within their car cocoons, none the wiser to the terror I was undergoing. Sun shining, I rode beside the dark water of Beauly Firth, the city behind me, snow capped mountains ahead. Wonderful. Inner peace unlocked. Clickety clack, my bike croaked with any sustained effort, the noise thankfully fading as I entered spinner’s paradise and whipped up a high cadence. The climb of Bealach na Bà was on my mind. Already. Spinning I reasoned, would save my legs and help keep my heart rate as low as possible. The monster climb was still four days away. The rain gods were kind, treating me to a light dousing on a couple of occasions but nothing more. Not so the wind gods. Fierce, it was either a crosswind or a headwind. All day long. Legs sapped. The wind was so strong I was forced to pedal down hill. Not that I cared. They say if you experience pain then you need distracting. The Scottish scenery duly obliged, putting on an age-old performance few can tire of. Mountains and valleys on all sides of the road, streams, rivers and lochs here, there and everywhere. More waterfalls than an Indiana Jones movie, the Highlands are a special place even when the wind howls. The route was a steady climb until the very end when I welcomed the shelter of the steeper climbs, my legs cranking out slow revolutions so as not to raise my heart rate. I enjoyed the challenge of climbing 15% gradients as slow as possible without falling off, my legs strong, urging me to climb faster. Save yourselves boys, you’ve many a hill climb ahead. Before I knew it my day was done, finishing in the picturesque village of Plockton, a special place overlooking Loch Carron, mountains all around. The view from my window amazing. The mountain in the distance? Bealach na Bá, teasing, lest I forget what lies ahead. An idyllic day. Rain and the Isle of Skye await tomorrow. The stats: 73 miles in five hours with 960 metres climbed. Oh and one dead rotting sheep carcass. Even the roadkill in Scotland is dramatic. This has been quite a season for wind, looking forward to the next episodes. Thanks FC, not been a great year so far has it in terms of the weather although it was lovely to ride in just a jersey and shorts yesterday when back in London after wearing four layers and neoprene booties in Scotland! And it’s just starting to warm up here, only 3 layers, but shorts and the gales have died! Ha, the weather always improves once I leave! Great write up, looking forward to the rest. I did my smaller rides up there, Mennock Pass, Forest of Ae and others and as you say the scenery is stunning, but the wind, very tough. Thanks Chris. The wind was quite something. Late in one ride I turned out of the wind and was almost stunned by the seeming silence after having wing rushing past my ears all day! Corking stuff. Bikes are made for adventure and Scotland the ideal arena. I’ve fell run and kayaked in Scotland, but somehow conspired to avoid riding there. Your article has reminded me that I need to put that right! Perhaps a Scottish adventure awaits when you’re back to full strength. A lovely land. 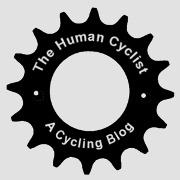 sorry if you wrote this somewhere and I didn’t see it, but were you on a road bike or a hybrid? Did you find riding on the roads in June a challenge in terms of safety? And finally, are any of the routes on high-speed main highways (like A82?) or did you steer clear of those? Hi Kate, I was on a road bike and avoided all major roads. The only section which was a little cycle unfriendly was getting onto the Isle of Skye but there’s no real alternative unless you take a ferry. Even though it was peak tourist season, traffic was minimal and most of the roads are a joy to ride. Enjoy! Thanks for the info! And the quick response! Super excited to do this route next year!